Reports suggest it is likely the Florida Panthers and Columbus Blue Jackets are close on a blockbuster deal. The Panthers are interested in trading for goaltender Sergei Bobrovsky and will entice him with a potential eight-year contract extension, reports Larry Brooks of the New York Post. 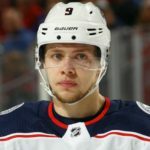 It was reported Friday that the Panthers hope to take a run at both Bobrovsky and Columbus’ other pending unrestricted free agent, Artemi Panarin, either before the Feb. 25 deadline or during the offseason. Florida has been active in the trade market early, making one of the first trades big trades of 2019 adding Derick Brassard and Riley Sheahan from the Pittsburgh Penguins for Nick Bjugstad and Jared McCann over the weekend. 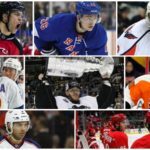 The move clears up cap space for the Panthers next season but they’d still need more room to acquire Bobrovsky, Panarin, or both this year.